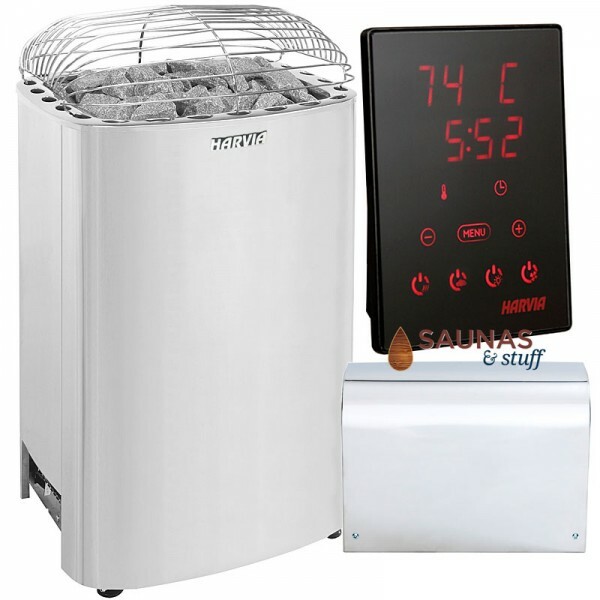 Harvia Electric Sauna Heaters provide you with quality and value. Controls and Power Supply included. 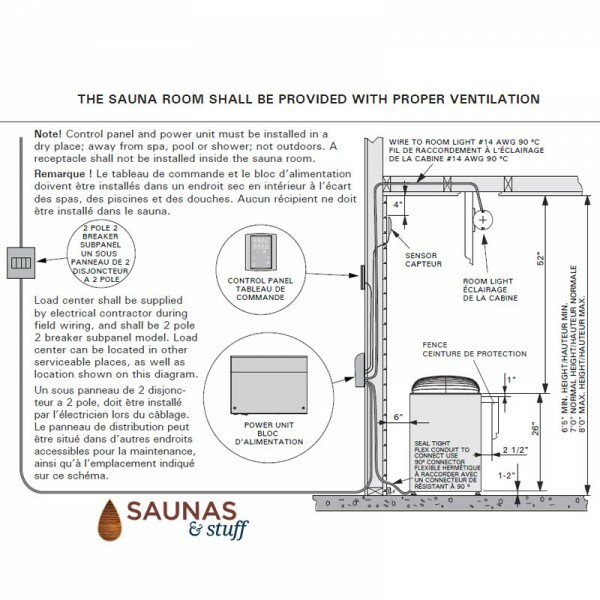 For saunas 600 to 989 cubic feet. 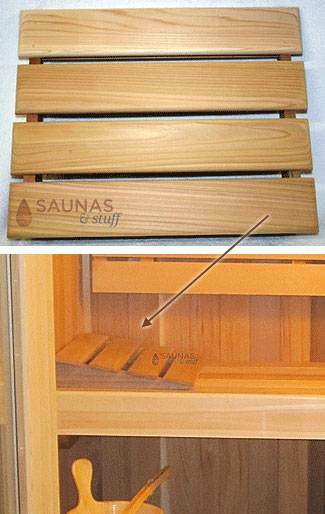 Sauna rocks included with heater. Bucket comes with a plastic liner. 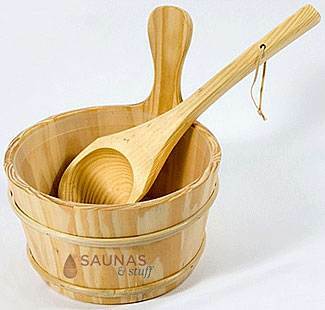 Use to drizzle water on your sauna heater rocks to steam things up. Don't get too hot. 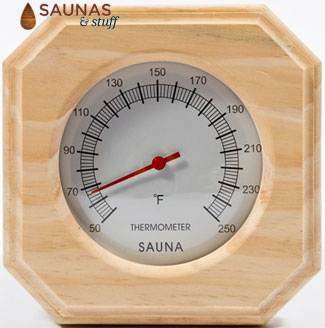 Keep an eye on the temperature with our sauna wall thermometer. 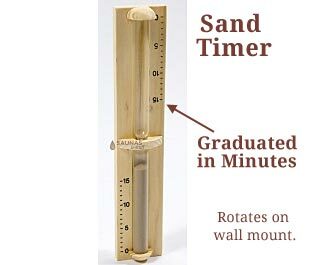 Time your sauna session with our old style sauna sand timer. Times 15 minutes, screws to wall so it can be rotated / flipped. Get comfortable with one of our cedar headrests. 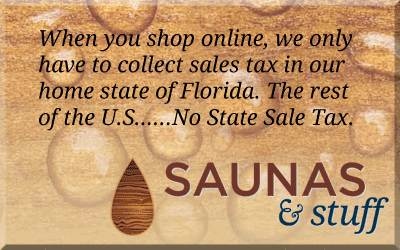 Free Ground Shipping in the 48 States.